Performance related issues are among the most common problems Samsung Galaxy Note 4 (#Samsung #GalaxyNote4) owners reported after the lollipop update. We have received a lot of them so I will include several related problems and questions in this post. If you’re one of the owners and are currently experiencing sluggishness, lags, freezes, random reboots, overheating, etc., I suggest you take time to read this article. The first problem I addressed is about a Note 4 that freezes when the owner unlocks or answers calls. If the phone is having a difficult time executing very basic functions, there must be something wrong with it considering it is a very powerful phone. The second problem is still related but this time it’s the Facebook app that keeps freezing. It’s just an app issue but what we actually don’t know is if it’s a firmware problem causing the freezes or an app issue that needs attention from its developer. Just before we go any further, if you have other problems with your phone, don’t hesitate to contact us by filling up this form as we are always willing to help. 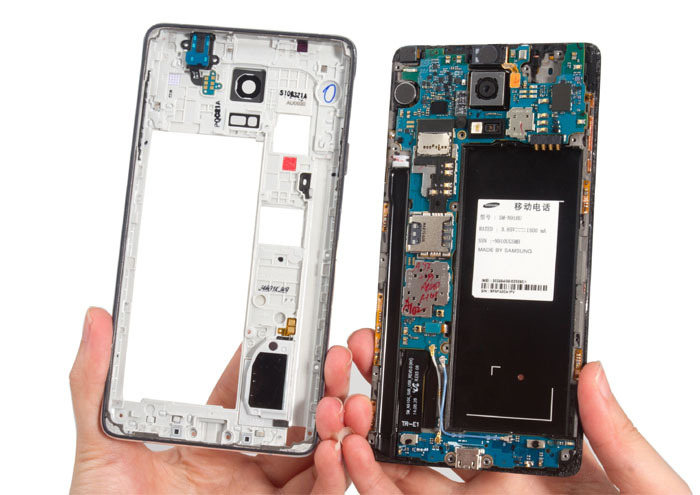 Meanwhile, you may visit the troubleshooting page we’ve setup for the Galaxy Note 4 as it contains hundreds of problems we already addressed in the past. Troubleshooting: Hello Laura. I will try to make this troubleshooting very simple for you. The first thing I want you to do is isolate the problem right away. That means that you need to boot your phone in safe mode and see if the problem still occurs or not. Safe mode will be displayed at the lower left corner; you may release the Volume Down key now. If the problem persists in safe mode, then backup your data and perform master reset. In case the issue is fixed in safe mode but you don’t know which app is causing the problem, then do the same thing. When the Android System Recovery shows on the screen, release the Vol Up key. Using the Volume Down key, highlight ‘wipe data / factory reset’ and press the Power key to select it. Now highlight ‘Yes — delete all user data’ using the Vol Down key and press the Power key to begin the reset. When the master reset is complete, highlight ‘Reboot system now’ and hit the Power key. Troubleshooting: Hey George. Try to uninstall the Facebook app, reinstall it and see if it still freezes. If so, try to see if there’s an available update for your phone and download it. If there’s none or if the update hasn’t fixed the issue, then perform master reset and let Facebook be the first app you install and observe. After all these and the problem still persists, contact Verizon and request for phone replacement if possible, contact Facebook and report the issue. While waiting for resolution, use a web browser to access Facebook. I know it’s not a solution but there’s not much we can do about it to fix the issue. Troubleshooting: “Often” is quite a vague word in describing this problem because we really don’t have any idea how often the phone overheats in a day. To make it very simple, master reset the phone (follow the instructions above) and see if the phone overheats without any third-party apps installed. If so, have a technician take a look at it, however, if the device doesn’t overheat after the reset, then you must be very observant of the apps you installed as one or some of them is causing the problem. The Note 4 is a very powerful phone and regardless how many apps you open for as long as they run normally, they will never cause overheating. But since this issue happened, one or some of them may have gone rogue or kept crashing causing conflicts in the system. As to your question about the best app killer, there’s none. Note 4 has a built-in app killer, why do you need to install a third-party one to kill third-party apps? Problem: “Samsung UI has stopped working. Do you want to reset it?” Or something similar shows up 2 to 3 times a day. This started happening after I updated to Android 5.1.1. When I hit ok it refreshes and brings up my lock screen. Bad update maybe? Troubleshooting: It’s an update-related problem but it doesn’t necessarily mean you got a bad update. Some caches and/or data may have been corrupted especially ones handling the Samsung UI service or Touchwiz. So, master reset will fix it. After all, you just updated the phone, so give it a fresh start. Troubleshooting: You’re not the only one who reported this issue. Based on testimonies of some owners who were able to fix the problem, wiping the cache partition will do the trick. Troubleshooting: You can blame the old caches and data for that. You can fix this problem by wiping the cache partition and performing master reset after you’ve backed up all your data. That’s all you need to do to prevent your phone from overheating.